1) 100% recyclable and strong material, eye-catching and stable design for showcase heavy products, it can support 20kgs,with different headers suitable for presenting different products. Q: 1.How do we start to cooperate? A: Since Most of our display and package boxes are custom-made, usually we start from design structure and size for customers. At this stage, customer need to tell us main idea about where the display be placed, on the floor, countertop, or hang against the wall. And tell us detailed products information(size, weight, how to placement ) or send us a few product samples for design. Q: 2.Do you offer sample? A:Yes, we can offer white sample or color sample by ink-jet printing. After design, we can offer custom a white sample to check the size, paper quality, weight-supporting ability. After customer confirm the white sample, we will give customer die-cut line to make artwork. Usually, it is customer who make the artwork by themselves, if customer has difficulty or donot have designer to make artwork, we can help them as long as they offer us basic artwork ingredient. Next is to make color sample before mass production. Q:3.How long does it take to make sample? Q: 4.Can we use the color sample by ink-jet printing to check the color in mass production? A: No, because the process of ink-jet printing is totally different from offset printing in mass production. The color will be different from the colors in mass production. If customers want to see how the color will look like in mass production, we will offer customer A3 or A4 size printing proof which is 90% close to the color in mass production. Q: 5.How do you charge for sample? A: We usually charge a small sum of money for making sample, just enough cover the cost. We will not own any money on making sample. When order is confirmed, the sample charge can be deducted from total value of order. Q: 6. How do you ship the sample? A: We usually ship by DHL, UPS, FedEx or TNT. And courier charge is paid by customer against arrival. If customer doenot have courier A/C,we can help him/her by courier agent service which costs much lower than official courier. That is, customer pay us courier charge, we pay it to courier agent. We will not own any price gap.This way costs much lower but a little longer to receive the parcel. Q: 7.Do you offer pre-package service? A: Yes, we do. Customer askes his/her product factory delivery us products,we help assemble well the cardboard displays, fill in products ,protect and pack them firmly with 3D shipping carton before shipping. This way can help customer save a big sum of labor. We will charge a little of labor fee for this service. Q: 8.If our customer meets difficulty to assemble cardboard display,how do you deal with it? 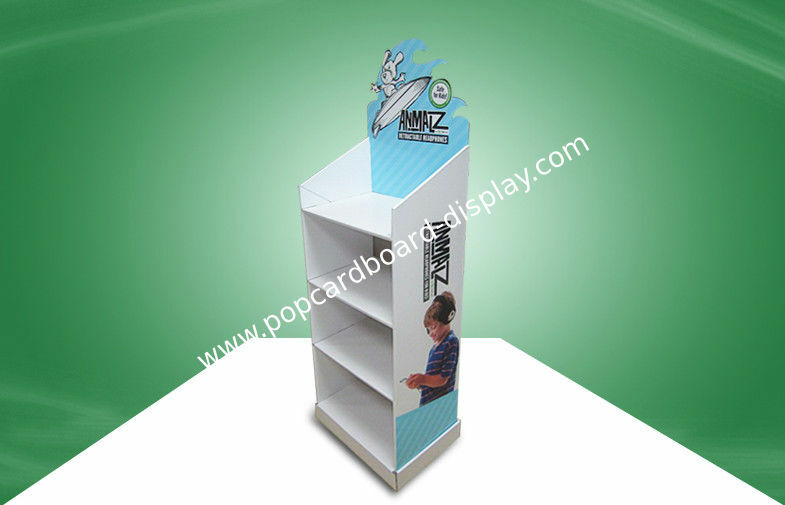 A:Usually, when design cardboard displays for customers, we will consider many factors, say, stability, looking,cost, shipping, easy-assembling, supermarket rules etc.We will offer assembling instruction by line or by pictures.If customer still have difficulty after review assembling instruction,we will offer vidio to show customer clearly about every step.